Danmola Otuyena, a banker, was testifying in Fayose’s trial for allegedly receiving and keeping N1.2billion and $5million said to have been stolen from the Office of the National Security Adviser (ONSA), contrary to the Money Laundering Act. Otuyena, who headed his bank’s Cash in Transit Services Unit when the transaction occurred, said he accompanied the bullion van that took the cash to the airport. Otuyena said he also got a call from his boss on June 17, 2014 to pay N200million to Malik Bauchi from the same account operated by Obanikoro. He said he was asked to waive the identification process. The witness also narrated how the cash was deposited. For instance, he said a driver, Taofik, came to the bank 21 times to make some cash deposits in one day. He said Taofik deposited N9.9million 10 times, N9.5million 10 times, and N5.5million once. Other deposits were also made at various dates, he said. He said since the money came from the ONSA account with the Central Bank of Nigeria (CBN), it must be legitimate. 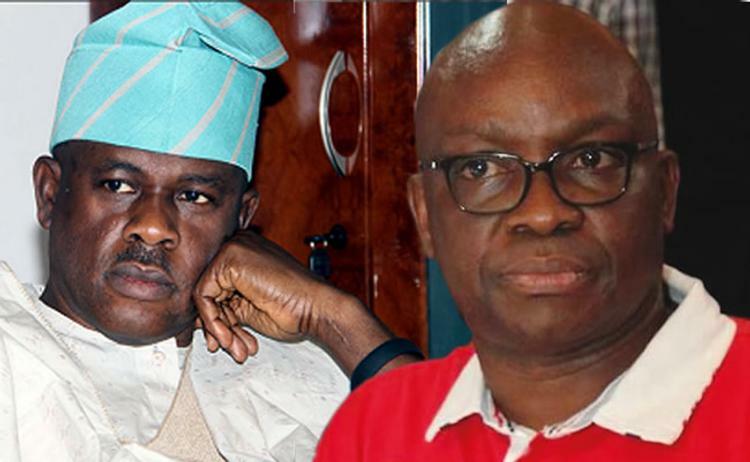 Fayose had pleaded not guilty when he was arraigned on an 11-count charge.